Sergey Sobyanin has been inaugurated Moscow Mayor after his candidacy for the post was approved by the City Duma. He will replace the longtime Mayor Yury Luzhkov, sacked by President Dmitry Medvedev last month over a “loss of confidence”. During a swearing-in ceremony at City Hall, Sobyanin, 52, received the mayoral chain – the outward symbol of the civic role – and officially started his five-year term as the head of Moscow. The grand event was attended by eminent guests including the Patriarch Kirill of Moscow and All Russia, the city’s honored citizens and the Russian President. Speaking at the ceremony, Medvedev said that one of the new mayor’s major goals will be to increase the quality of life of both Muscovites and guests of the capital. “It is not an easy task. But I am confident that [Sobyanin] has all the necessary qualities [to fulfill it]. And I am sure that you will work on achieving these goals around-the-clock,” the Russian leader stated. According to Medvedev, the Russian capital is not only a political, but also a business, center. 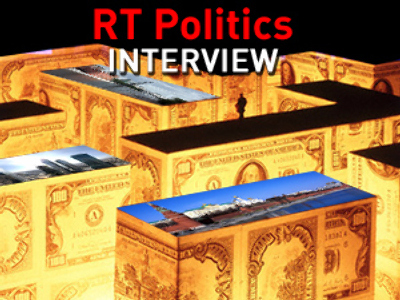 “That is why we decided that Moscow should become the financial center of our country. If this goal turns out a success – and that is what we are working on now – [it may become] the financial center of the whole of Eurasia,” he stated. “At least, that is the ambitious task we have set,” Medvedev said, adding that everything possible should be done to improve the investment climate in the city. The decision to make the now-former deputy prime minister and Vladimir Putin’s chief of staff the new mayor of Moscow was approved by 32 of the 34 City Duma deputies present at the session. The three Communist Party members had previously said they would vote against the appointment. 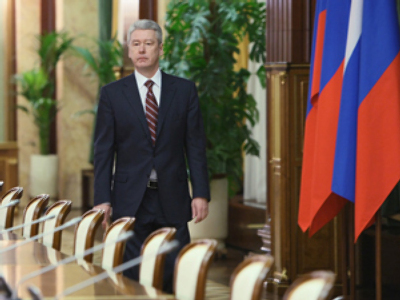 Prior to the secret ballot, Sobyanin addressed the legislators with a speech and answered their questions. He vowed to resolve problems that the city and its residents are facing, as well as to keep developing the positive results achieved by his predecessor. That includes the development of social policies, education and the modernization of the healthcare system, sorting out traffic problems and changing the approach to construction policy so that it makes the lives of people comfortable and does not spoil the city’s character. More efficient budget spending and economic energy system are also goals to be achieved. “The daily needs of Muscovites will be at the core of [the mayoral office’s] activity,” he stated. On a larger scale, Sobyanin promised to work on fighting corruption, creating more favorable conditions for small and medium businesses, bringing residents’ lives to a higher level and the further development of Moscow. 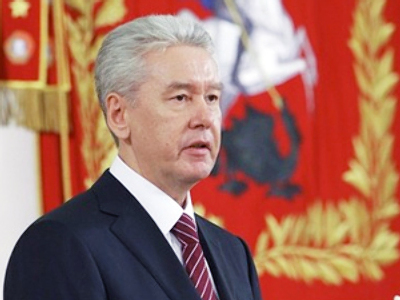 It is believed that Sobyanin’s approval for the mayoral seat was just a formality. He was on the list of four potential candidates earlier presented to Medvedev by the ruling United Russia and was nominated for the post by the president. Under the law, to get the mayoral seat the nominee has to be approved by the city’s parliament. The United Russia faction holds the majority of seats at the State Duma as well as at the capital’s parliament, where 32 out of 35 legislators are party members. The voting drew considerable media attention and was broadcast live on a number of TV channels, a local radio station and via the Internet. 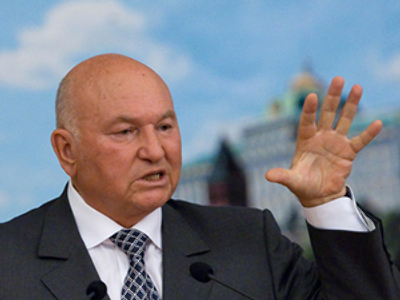 The previous mayor – Luzhkov – ran Moscow for 18 years, which is slightly less than the entire period of time that the new Russia has existed. What his successor will be like and what changes the new mayor will introduce are questions that concern Muscovites, as well as many others who come to live and work in the capital. While the position is considered purely managerial, many analysts agree that the role the mayor of the city with over 10 million residents cannot be underestimated on the big political arena – especially prior to parliamentary and presidential elections in 2011 and 2012. On Tuesday, Sobyanin – United Russia’s Supreme Council member – met with his party fellows to discuss what he would like to do if he became the mayor. The priority goals, according to him, are providing social stability, tackling corruption and bureaucracy, traffic problems, reducing administrative barriers and the improvement of the investment climate in Russia’s largest city. The problems outlined by the new head of the city echo tasks set earlier by President Medvedev. “Unfortunately, the investment climate in Moscow is not the best in Russia,” Sobyanin said, adding, though, that the attractiveness of it is rather high. “We should solve this problem together,” Sobyanin said addressing his party comrades. He also expressed hope that United Russia will support him in his efforts to resolve other challenges that are now affecting Muscovites’ lives. Sobyanin admitted that while he had no "complex program" of activities, he had an understanding of problems that must be solved, as well as “certain experience and knowledge.” He said that he – together with United Russia and public organizations – was planning to work out a plan of development for the city. He is not new to administrative and managerial job and does have experience of being in charge of large territories. 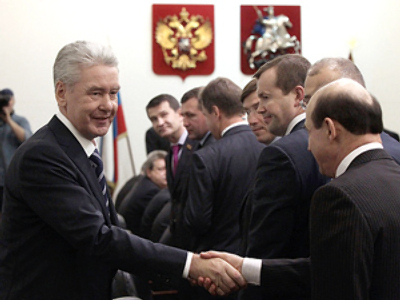 Prior to being appointed deputy PM and the government's chief of staff, in 2001-2005, Sobyanin served as governor of the oil-rich Tyumen Region. Locals were rather grateful to the previous mayor for social benefits that he provided to pensioners, teachers and some other groups of people. For instance, the elderly in Moscow do not have to pay to use public transport and enjoy additional payments to their pensions provided by the city budget. 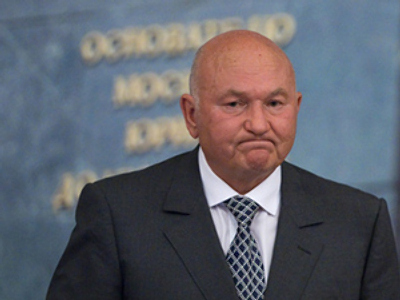 After Luzhkov’s dismissal, citizens worried that his successor would take their privileges away. However, Sobyanin assured the residents that social benefits will remain a priority for the mayoral office. He said that not only all their compensations and allowances will remain in place, but will also be increased next year. The new mayor also vowed not to forget about Moscow’s working population. He promised to reduce the unemployment rate among Muscovites. "It is Muscovites who should be provided with whatever jobs are available in Moscow first of all," Sobyanin said at a meeting with the capital's trade union federation on Monday, cites RIA Novosti. He added that jobs should be "high-tech, modern and well-paid." Muscovites, for their part, should keep developing their level of education in order to match the demands of the time. He stressed that local authorities together with trade unions must make sure that Muscovites’ income grows each year and people feel more comfortable. According to official data, almost 50,000 of the capital’s citizens are currently unemployed. However, those are just the registered unemployed, so the real number could be larger. What do Muscovites expect from the new mayor? 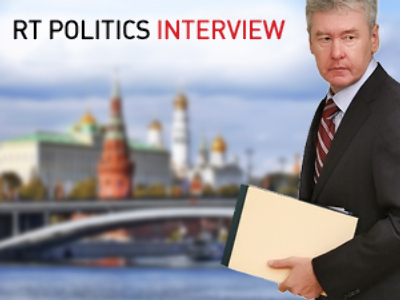 As a poll published on Wednesday by the Russian Public Opinion Research Center (VCIOM) reveals, the issues that Sobyanin is going to cope with mainly coincide with those Muscovites consider most troubling. Almost a half of the capital’s population – 42 per cent – is fed up with the traffic problems they have to face every day. Hours-long traffic jams, a lack of parking places and overcrowded public transport turn the travel of the majority of people through Moscow into a nightmare. 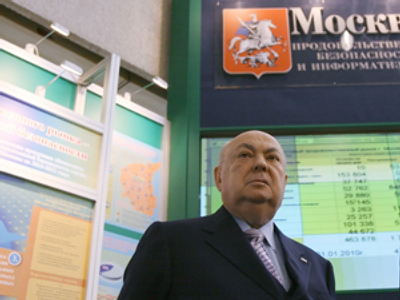 The inability to do anything to improve the situation on Moscow roads is seen by the population as one of the main failures of Luzhkov and his team. Sergey Sobyanin has promised to pay serious attention to the problem and do everything possible to change the situation. High prices for goods and services are what 29 per cent of Muscovites are not happy with. And that is not surprising. According to the latest Cost of Living Survey from Mercer, Moscow was ranked the fourth most-expensive city in the world. Meanwhile, the Russian capital does not appear among the top 50 cities in terms of quality of living. Neither it is present on the list of 50 best in ecological ranking. Pollution, unemployment, corruption, low pensions and salaries, housing problems, crime, migrants from the CIS – these are the issues that Moscow residents consider the most pressing and want the new mayor to address. Whether Sergey Sobyanin will be able to meet people’s expectations is yet to be seen. 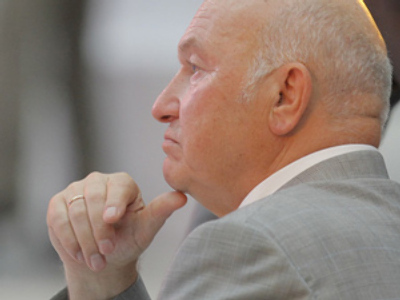 Despite some failures and accusations of being involved in corruption schemes, 44 per cent of Muscovites are still grateful to Yury Luzhkov and believe he was an efficient manager, thanks to whose efforts the level of life in the city improved. However, 56 per cent are confident that it is time for the Russian capital to get a new mayor.